We will contact you for delivery details! 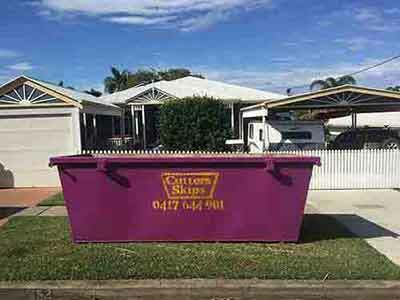 Hiring Brisbane skip bins is easier and more affordable than you think – and skips come in handy for so many different uses! Whether you’re a business that needs to rid your demolition site of unwanted junk, an office manager organising a work place clear-up or a builder discarding materials from a renovation, getting the right sized Brisbane skip bin at the right price makes your job a whole lot easier. If you’ve been endlessly searching online for terms like ‘Skip Bin Hire Brisbane‘, ‘Skip Bins Brisbane‘, ‘Skip Hire Brisbane‘, ‘Skips Brisbane‘, ‘Skip Bin Brisbane‘ or any other variation, you might be overwhelmed with choices! If you aren’t sure who to call, start with the team at Cutters Skip Hire Brisbane. We offer a full range of skip bin options at very competitive prices and we’re always happy to help and advise where we can. 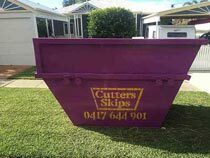 Cutters Skip Hire Brisbane offer the best priced, hassle-free Brisbane skip bin hire throughout Brisbane and surrounding areas. Need a hand with your domestic or commercial clean up? 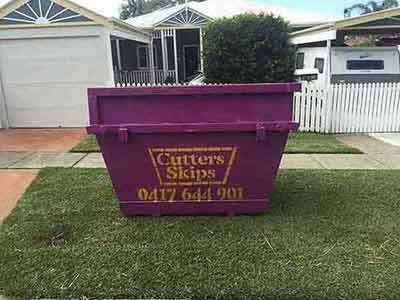 Cutters Skips will have the skip bin you need. Cutters Skip Hire Brisbane is one of the most affordable skip hire businesses in the region. Skip hire costs range from just $160 for compact Brisbane mini skips, up to 6 metre skip bins for $340. Shop around and you’ll see Cutters Skip Hire Brisbane are almost unbeatable on price and you’ll be hard pushed to find a more reliable service. As a 100% Brisbane based family owned and operated business, the team at Cutters Skips Brisbane, know that everyone likes a bit of personalised service. The Leading Skip Bin Hire Brisbane Service? Call Cutters Skips Today! As a business that has been in operation since 2000, Cutters Skip Hire Brisbane works closely with you, the customer, and strives to meet all your skip bin hire needs, whether you are a business or residential client. Rest assured, your skip will be delivered to your Brisbane work site and taken away promptly, without any unnecessary stress to you, your business or your family. Available 7 days a week! We offer prompt, reliable and affordable options for your business or home. No obligation quotes, so contact Cutters Skip Hire Brisbane today! 4. Transporting Building Materials and Much More! 1. Any size of Cutters Skip bin can be booked for any period of time, so there’s a perfect package for any waste removal project. Brisbane skip hire can be arranged for an agreed future date, or as an urgent same-day request. 2. To give you an idea of Brisbane skip bin hire costs, see Cutters Skip Hire Brisbane pricing schedule a little lower on this page. Note that all prices are all inclusive for up to 7 days, and incorporate a free delivery service. A 2 metre skip bin (known as the Brisbane mini skip) holds the equivalent of 8 wheelie bins of rubbish. Prices for 2 metre skip hire Brisbane start at $160 all inclusive. A 3 metre skip bin holds the equivalent of 12 wheelie bins worth of rubbish. Prices for 3 metre Brisbane skip hire start at $200 all inclusive. A 4 metre skip bin holds the equivalent of 16 wheelie bins worth of rubbish. Prices for 4 metre skip bin hire Brisbane start at $240 all inclusive. A 6 metre skip bin holds the equivalent of approximately 24 wheelie bins worth of rubbish. Prices for 6 metre Brisbane skips start at $340 all inclusive. What uses are ok for commercial skip bins Brisbane? Our wide range of skip bin sizes start from 2 metres for smaller jobs, going all the way up to 6 metres for large scale demolitions, building work or landscape assignments. Cutters Skip Bins Brisbane are available for all types of commercial clients 7 days a week. Should you need Brisbane skips for commercial building material removal, or you require building materials transported from one site to another, you will need our large size Brisbane skip bins. These can accommodate heavy duty materials such as concrete, tiles, wood frames, bricks, dirt and more. Large 6 metre Brisbane skips can be hired with Cutters Skips Brisbane for $320. Cutters Skips understand the potential challenges when delivering Brisbane skips to commercial building sites, therefore a choice of trucks heading to the site will be established to ensure narrow or tricky spaces can be entered. For office clear-outs, you may be looking for a compact 2 metre mini skip or medium 3 metre skip to rent. Smaller sized Brisbane skips, known as mini skips, are the most popular bin types for modest office clear-ups, but you can always schedule in the delivery of larger-scale skip bin if you need to. 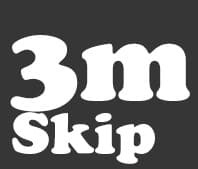 What size Brisbane skip is best for residential purposes? Commercial considerations aside, our Brisbane skip bins can be booked in for residential purposes. 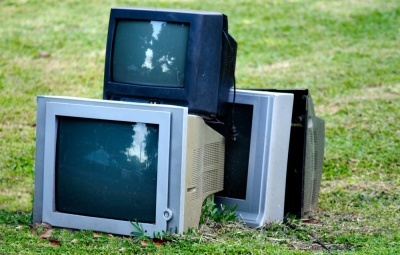 Hard rubbish pick-ups arranged by local councils are fantastic opportunities to rid your home of large household articles, but such collections are usually offered only once a year, and there are limits to the collection of your culled waste. Brisbane skip hire arranged through Cutters Skips can alleviate your household clutter clear-outs, at a reasonable cost to you. The costs for Brisbane mini skip bins start from $150 including GST. Mini skip bins are delivered to your home and can take approximately 8 wheelie bins’ worth of household rubbish in one go. 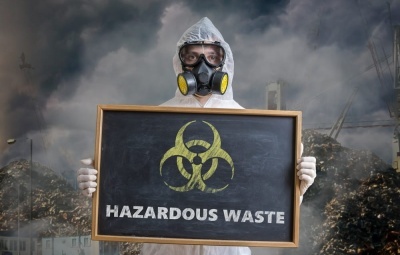 Should you be undertaking a residential renovation, you may look to remove your household waste and unwanted objects with the aid of a Brisbane skip bin. Renovations may require more room than the mini skip, therefore going for a medium size skip would probably be best. You could book in a 3 metre skip bin that can take approximately 12 wheelie bins’ worth of rubbish; priced at $190 all inclusive, for 7 days. The next skip size up would be the 4 metre bin, which holds the equivalent of approximately 16 wheelie bins; priced at $230 all inclusive, for 7 days. 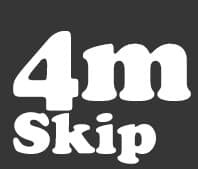 Do you offer Brisbane skip hire on weekends? You often find yourself working on home projects on the weekends, so Cutters Skip Hire Brisbane are ready to help! For those of you that work the 9-5, weekends might be the only opportunity to renovate in spare hours, or finally get stuck into that home clean-up. You don’t want to leave your household waste on the kerbside all weekend, so why not hire your skip bin to arrive and depart on a Saturday or Sunday? 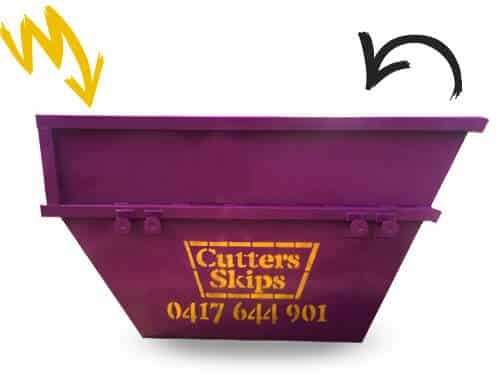 Cutters Skips Brisbane are on hand to deliver your skip 7 days a week, weekends included. Our skips can be booked for a same day delivery and pick up should you need it. Brisbane skip bin deliveries and pick-ups are always on-time, leaving you to your jobs done promptly, without any extra stress. What is not allowed in our Brisbane skip bins? 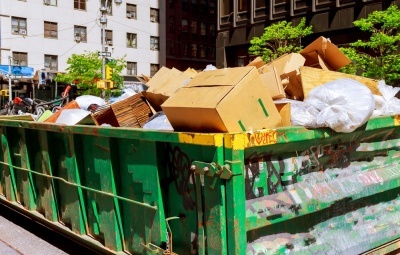 Is any of the waste from your Brisbane skip bins recycled? Collecting waste is one thing, but disposing of rubbish responsibly is another matter completely. When you choose to hire Brisbane rubbish skips with Cutters Skips Brisbane, you won’t need to worry about separating your recyclables, because we'll take care of that for you. Regardless of whether you’ve booked in for a smaller skip or 6 metre bin, all of your collected waste will be separated and the materials that can be recycled, will be salvaged from the other rubbish destined for landfill. 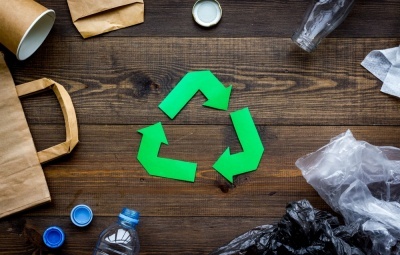 All waste material collected from your Brisbane skip bin will be transferred to the sorting station, and all of your unwanted recyclable materials will be saved. Cutters Skip Hire Brisbane feel that it's important to be environmentally responsible for waste management and therefore remain dedicated to dispose of your waste appropriately.